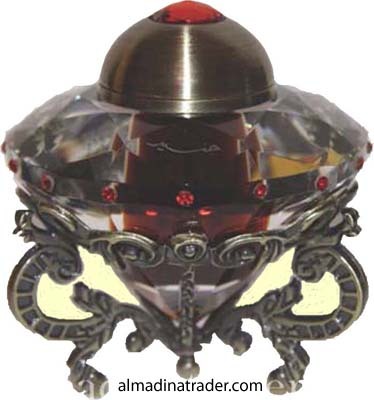 Nabeel Perfume - a worthy representative of the major manufacturers of Arabian Attar. Company policy fully corresponds to the name - which means "Nabil" means noble. Since its introduction on the market (we are talking about the end of the 60s of the last century) "Nabeel Perfumes" holds the secrets of the noble aromas and proud attitude towards customers. The central office is not accidentally located in Dubai. Generosity in flavors "Nabil Perfume"
As the emirate - the "noble" perfume manufacturer is actively developing, implementing innovations. Its main task - to make luxury accessible and taking a new, follow the traditions. Attention to detail, high quality and attractive packaging - these are the secrets of success of the spirits "Nabil Perfume". They have allowed the company to become one of the market leaders and win favor with fans from all over the world. Aromas "Nabil" - a magical aftertaste of the past and the present, harmoniously combined in one package.